Pictured (L-R): Kelsea Ballerini, Ty Bentli, Kelly Ford and Chuck Wicks. 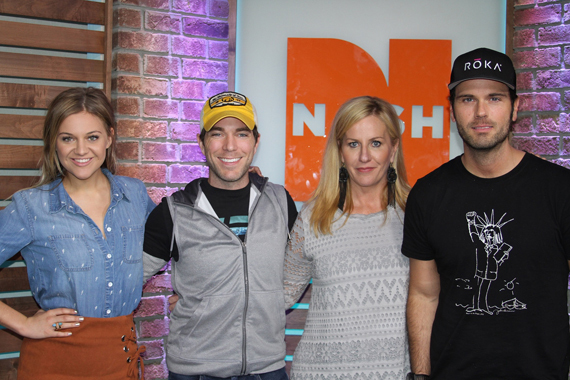 Kelsea Ballerini joined Ty, Kelly and Chuck in the NASH studio in Nashville this morning (May 16) to talk about everything from her marriage proposal, details of her upcoming sophomore album and more. See videos from Kelsea’s visit here. 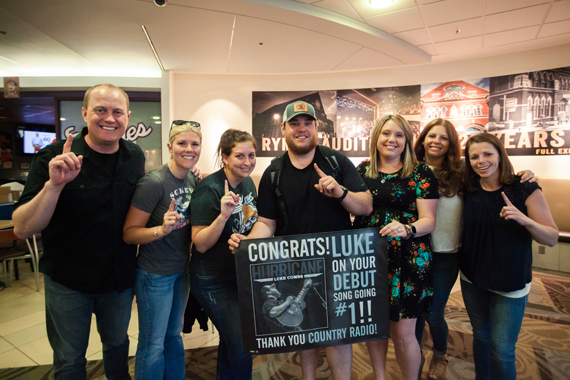 Luke Combs celebrated his first No. 1 song this week with his debut single “Hurricane” while in Key West for the BMI Songwriter’s Festival. 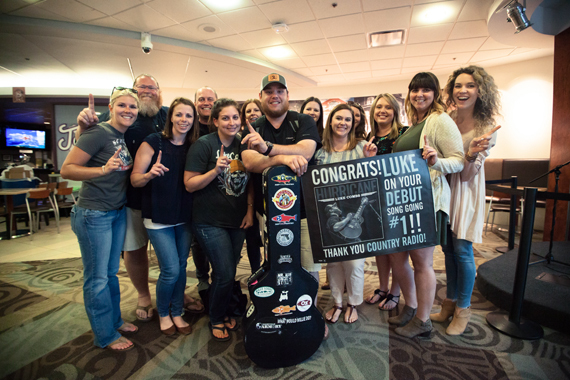 Members of the Sony staff surprised Combs at the airport yesterday (May 15) to welcome the chart-topping artist back to Nashville. 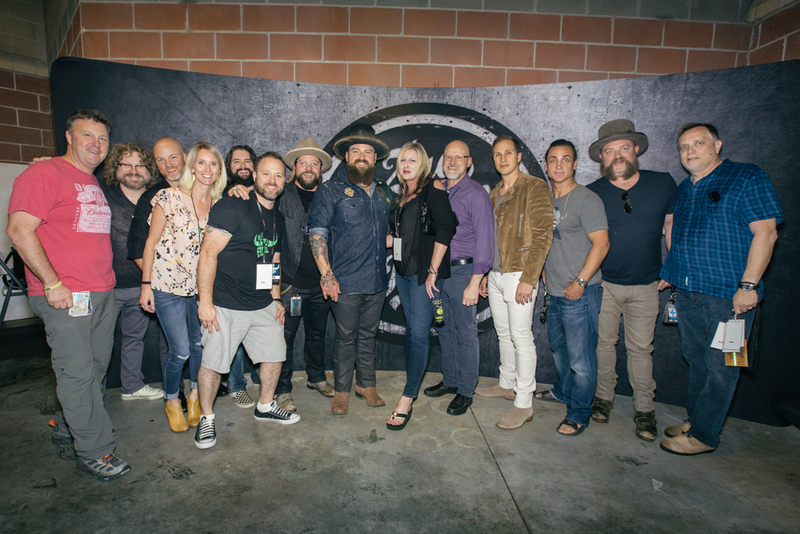 Zac Brown Band kicked off their Welcome Home 2017 Tour this past weekend with two sold-out shows in Alpharetta, Georgia. Several Warner Music Nashville staff and radio guests were in attendance. The Country Music Association hosted bilingual recording artist Cerrito on stage at their music row building for a Cinco de Mayo celebration on May 5. “The event was fabulous. There was Mexican appetizers (chips, salsa, cheese dip and Sangria). 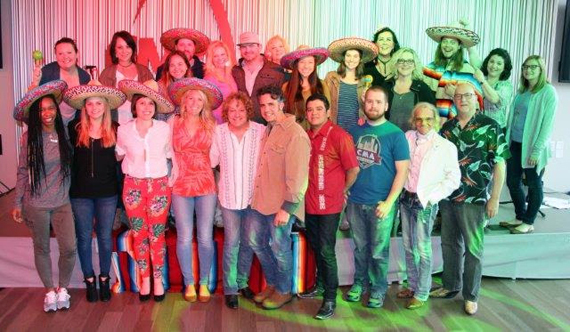 There was all the Mexican decorations, etc.,” Cerrito shared. “Everyone was up on the stage. It was a muy bueno Cinco de Mayo,” exclaimed Cerrito.